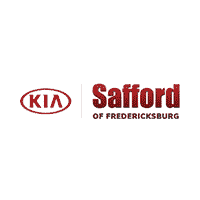 At Safford Kia of Fredericksburg, our Richmond area Kia dealer, we have a steadfast staff, committed to our customers needs as our greatest motto is customer satisfaction guaranteed. With an extensive inventory, filled with both new and used brand vehicles, we have the perfect fit for everyone. SUV, sedan, or compact car, we have exactly what you’ve been searching for; the treasure hunt ends at our Kia dealership serving Richmond. As we stock stellar new and used inventories near Richmond, there’s more to our dealership than you may think. With a hardworking finance team, a state-of-the-art service facility staffed with engineers and mechanics, and the necessary parts to improve all vehicles, in amalgamation, we are much more than just a Kia dealership near Richmond. We are a service facility dedicated to our valued customers, and together, we are consistently working toward the same goal-customer satisfaction. We look forward to serving you! We are conveniently located at 5204 Jefferson Davis Hwy in Fredericksburg, where we can be reached by our Richmond Kia shoppers. For directions, visit our directions page where we have provided a map for you to navigate from your location. Convenient is what we strive to be! Visit us to take advantage of our free test drives and various services.